Is every agent at your company on the exact same commission plan? Will you provide it to me in writing? Our commission plans are highly competitive, and our agents decide annually which offers them the highest and best compensation structure. We have multiple plans available – traditional split plans as well as a fixed expense plans. Some plans include a fair share cap, and you’ll have the freedom to choose which one fits your business the best. Yes, we’ll provide it to you in writing. IMPORTANT: Ask if your commissions will be subject to any per transaction fees and any other fees that might result at the time your commission is paid. Also, never let a Broker tell you the fee structure of a competing Brokerage firm. Find out for yourself. Does your company have a National Advertising Campaign? Yes. Year after year, RE/MAX’s national advertising campaign has created billions of advertising impressions, all designed to educate consumers about the benefits of working with a RE/MAX agent, as well as drive them to our national website www.remax.com. The ad campaign translates into leads and brand name awareness – both of which make it easier for you to generate more business. IMPORTANT: Companies that do not have a National Advertising Campaign will try to tell you this doesn’t matter. They’ll tell you your clients hire YOU and not the company. Yes, our agents generate business from their past clients and sphere of influence. Of course! However, RE/MAX Realty Affiliates agents have a distinct advantage. The RE/MAX National Advertising program generates an enormous number of leads through www.remax.com and with a network of over 80,000 agents across the country, they receive referrals directly from their fellow RE/MAX agents located all over the world. In addition, they’re free to refer their clients who are moving out of the area to generate referral fees. The best part? No additional fees or splits off the top as a result. Does your company have brand name recognition? Yes! 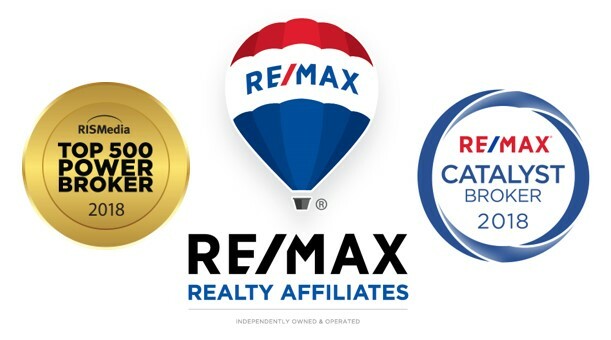 The RE/MAX brand is one of the biggest in our industry. Nobody in the world sells more real estate than RE/MAX. IMPORTANT: Local companies will tell you this doesn’t matter because after all, real estate is local. But it’s also global. If someone from Kansas wants to relocate to Reno, how does a local brokerage attract those buyers and sellers? With the RE/MAX National Advertising campaign, you get the benefit of having a major local AND national presence. Consumers know they can go to www.remax.com and search for homes all over the world! That means more exposure and more REACH for you to capture clients from everywhere. Does your company have an online lead generation system? Yes. LeadStreet. Launched in 2006, RE/MAX’s LeadStreet system has generated 10 million leads for RE/MAX agents. That’s the power of a national advertising campaign! IMPORTANT: Many companies, both local and national, will tell you they have a “similar system.” Ask them how many listings they have on their site and how they generate traffic to their site. Ask to see a traffic ranking report and compare the companies so you know exactly what the results are. Is there a cost or a referral fee for online leads? How are online leads routed? LeadStreet is FREE to RE/MAX agents and referral fee FREE. Online leads are routed to all agents on an equal rotation system. Agents are notified and can accept leads via their cell phones. The only exception is on your listings. In that case, you would get the first opportunity to work that lead. IMPORTANT: Many companies route leads or referrals through what we consider to be a “cherry picking” system. They give them to a few select agents. If you are lucky enough to get one, they’re usually subject to an additional 30 to 35% split, over and above your normal commission split, leaving you with very little. We believe every agent should have equal opportunity, no matter what, and that these leads should be free of additional fees. How else can LeadStreet be used? Free Courses: RE/MAX University and Agent Training on Demand offer literally hundreds of courses for free, and every topic imaginable is available! Ask us for a copy of our University Catalog and take a test drive of Agent Training on Demand. IMPORTANT: Many companies will talk about their education and training. Our focus is on the RESULTS of that training. Education is a cornerstone of our business building. Even our top producers can expect to generate 10 leads and close 3 extra transactions during this 12-week Peak Producers course. Click here to learn more. If a broker talks about their training, you need to ask how effective it is. Does your company offer Designation Courses I can take right in the office? It’s a well-known fact that agents who hold advanced designations earn more than those who don’t. That’s why RE/MAX delivers some of the most popular advanced designation courses to our agents directly in our office, or on your personal computer, at a discounted price. There’s no need for costly travel or bank-busting expense. Again, any referrals – either incoming or outgoing – are handled agent to agent. RE/MAX Realty Affiliates does not have a special department that takes a cut. We believe it strengthens our entire system when our agents are in control. Do you have a full time Agent Support Services division? Yes. Our agents have competent support staff at their disposal, and services range from marketing to listing to transaction management support. The sky really is the limit. Agents pay only a small fee for what they use. There’s no need to employ a full time assistant who will pull from your profit margin. Get admin support when you need it and only if you need it. 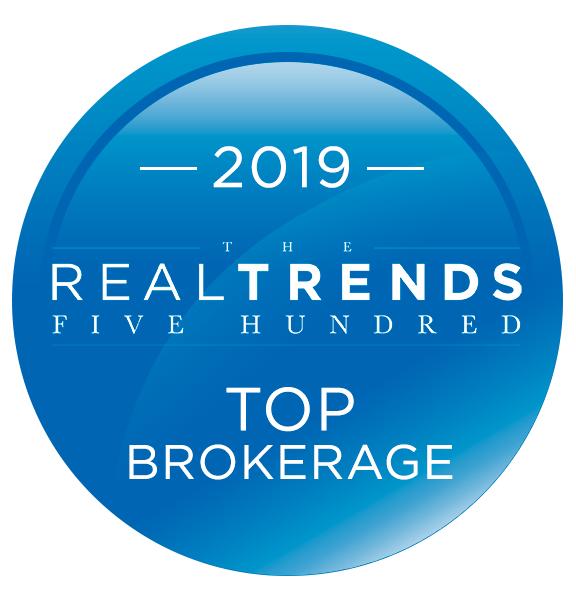 Our focus is on helping RE/MAX Realty Affiliates agents work smarter, not harder, and on driving higher levels of profitability where they should be – in our agents’ pockets. Therefore, we don’t profit from this venture, nor do we “up charge” for the services. We believe that by having a service that will take the load of administrative tasks off our agents’ shoulders, they have more time to focus on activities that produce income. Does your company have profit sharing? If so, how much can I expect each year and how does it work? We do not have a company ‘profit sharing’ plan between agents. In some offices, (Keller Williams would be an example), many agents, even office staff, are encouraged to recruit more agents in return for a portion of the commissions collected from those recruits by the company. There are seven levels of the profit share tree that determine who receives the money. There are also a number of conditions that must be met, such as the office where the agent is situated must declare a profit. The bottom line is that, in 2012, less than one third of KW agents received profit-share checks, with the average monthly check totaling $114. We believe that recruiting for profit share detracts from selling real estate. We also believe that commission income dwarfs profit-share income. So…are you a recruiter or an agent? Which activity generates the highest return for you? Just one transaction on average is roughly $5,300. How many agents would you have to recruit and what would they have to produce for it to become worthwhile? This is a question you should ask. In 2012, in our office, our Reno agents averaged $24,500 in ADDITIONAL PAID COMMISSIONS, OVER AND ABOVE THEIR NORMAL PRODUCTION, as a result of just leads and referrals. There are 8 key questions you should ask about profit sharing which we are happy to share. Just drop us an email. Will I receive all of my own sign and ad calls, or do you have floor time? Yes and yes. RE/MAX believes that the first person who should have the “at bat” on sign and ad calls is you, the listing agent. You either worked hard to earn a listing or you paid for an ad. In the event you or a member of your team cannot or does not wish to take your sign/ad call within a designated time frame, it will be given to an “on call” agent. When you sign up for “on call,” it means you can still be productive. Only hot calls will be routed to you during your time slot. You can be working and productive in your office while our receptionists answer the phone. Agents on call are also eligible for calls that come in when a consumer doesn’t already have an agent, i.e., “I want to sell my house.” or “I want to buy a house.” Our staff carefully questions the caller to make sure they don’t already have a relationship with one of our agents. In that case, the call routes to the agent on call. IMPORTANT: Companies that have traditional floor time will tell you that you’ll receive most of your calls anyway because your cell phone number is on your ad or sign. If that’s the case, have you ever wondered why then, those companies still have a floor time schedule? It’s because some of those calls will come in through the main company line. Our system offers you the best of both worlds. You receive calls from your sign/ads that come in on your cell and into the main office. Alternatively, if you are an agent who needs to build your business and like the idea of floor time, you can sign up to be on call. Per agent production, RE/MAX Realty Affiliates is the top producing company in the Northern Nevada Regional MLS, so yes, we sell A LOT of real estate, and, yes, we are the best. We have the highest per agent productivity in the market. Our focus is on our agents and not on amassing dozens of part-time and non-committed agents. You’ll be surrounded by a group of highly productive, professional agents and you’ll have access to state-of-the-art education, tools and systems to help you capture more business. If you’re in this business to make money, be professional and serve your clients well – and if you’re willing to give it your full-time focus and attention – you won’t find a better company to associate with. Our system works. IMPORTANT: Lots of companies may tell you they have #1 market share, or they have the most agents, or they’ll pull stats from various areas in Reno/Sparks and say they’re #1 in those areas. Yes, market share is important but you should ask each company to discuss the average productivity of their agents. That’ll help you know how well their system works. If the agents in a company aren’t producing enough to earn a good living (on average) then how well can their system really work? More importantly, what are the odds that system will work for you? What tools do you have available so I can market myself? What do they cost? Our online Marketing Center, known as the RE/MAX Design Center, is a customized, multi-media-based platform of elegant, design-rich, flyers, brochures, postcards, slide shows, virtual tours, Web-based commercials, cards, and more. The result is a complete marketing toolkit of easy to use, high quality, marketing pieces that can be e-mailed, snail mailed, printed or set up on a Website. But in today’s advanced world of Web-based marketing, all of the elegance and ease of use would be for naught without the ability to track results and your return on investment. Our full reporting system allows users to track the number of hits, where they’re coming from (both geographically and from which sites) and how they found you (such as the text string they used in Google or Yahoo!). Knowing where your advertising is most effective helps you determine where to spend your advertising dollars to maximize results. The Design Center is FREE to RE/MAX agents. We invite you to take a test drive of this amazing tool. When you join RE/MAX, you receive a FREE personal website, already built, completed and launched the day you log on to RE/MAX MainStreet for the first time. Through this web site you can track leads, create client listing emails and capture leads from the worldwide web. IMPORTANT: Many companies have “in house marketing” programs. There is always an “up charge” for these services, and they mainly center on driving the company brand (not the agent’s). The work of driving our company brand is done by the RE/MAX National Advertising Campaign, as well as our regional broker marketing plan, leaving you the freedom to be creative and promote your business however you like. RE/MAX was founded on allowing agents to be in business for themselves, but not by themselves. How do you keep agents up to speed on the constant changes in the market? What kind of broker support can I expect? In addition to our education and training programs, we hold monthly meetings the first week of the month. We bring the latest information to our agents on topics like Risk Reduction practices and Industry News and Trends. We also review comprehensive Market Statistics designed to help our agents educate consumers about the history and current trends in our market. Our whole focus is on creating an hour of value. An hour of immense value. We don’t parade salespeople in who are trying to sell our agents something. We focus on giving our agents enormously valuable information they can use to their benefit. In our Reno office, Amy Lessinger is a non-competing broker, meaning she no longer sells real estate. Her passion is building the best office possible as well as supporting her agents. Amy has an extensive background in teaching and speaking, and she’s held many leadership roles within the Reno Sparks Association of REALTORS and NNRMLS. Her open door policy allows agents to obtain Broker support when they need it. In addition, we have two additional full-time Brokers available should Amy be out of town or at an appointment. Click here to learn more about Amy Lessinger, Brian Lessinger and John Fisher. IMPORTANT: Ask the Broker to give you a detailed account of what kind of support you’ll receive. If a Broker is busy selling, then how will your needs be met? We aren’t saying it’s impossible ­- in fact, John Fisher in our Gardnerville office still sells and manages his office very well, but you need to know up-front what to expect. In addition, you need to ask the Broker his/her policy for assisting you with problem transactions, and know if they’re available for one-on-one business planning and strategy sessions. Does your company hire only experienced agents? Here at RRA, we focus on partnering with agents who are seasoned in the field and are highly productive professionals in the industry. With an outstanding annual average of over 21 transactions per agent and an average of 13.5 years of experience, our agents champion success! Typically, the minimum threshold for partnering with new agents is $2 million in volume/12 closed transactions per year in production, with the desire for more! Our agents that have teams will sometimes consider a newly licensed agent to bring on their team and mentor them while they grow their business. Of course, we always welcome the opportunity to reach out to us as you gain experience and production in the industry. From the onset, we set out to be the best and bring quality to everything we do, and our stats and our reputation demonstrate that we’re doing just that. We have standards that are meant to elevate every person who chooses to associate with our firm. As a result, our agents enjoy higher production (income) on average. Trust – When we give our word, you can take it to the bank. Excellence – Do right and do your best. Care – Treat others as you would like to be treated. We have an amazing group at RE/MAX Realty Affiliates with a collective experience of more than 500 years in our Reno office alone! They collaborate, support and encourage one another each and every day. In addition to our core values, we believe we must “Work hard, play hard.” Very often there is laughter throughout the halls, or impromptu gatherings, and we hold parties every quarter. According to the NAR Profile of Home Buyers and Sellers, the most important factors when choosing a buyer’s agent are honesty and integrity, followed by the agent’s reputation. Associating with a highly reputable and quality company who hires quality agents can only further your career. We believe our reputation is unmatched and we encourage you to find out for yourself.